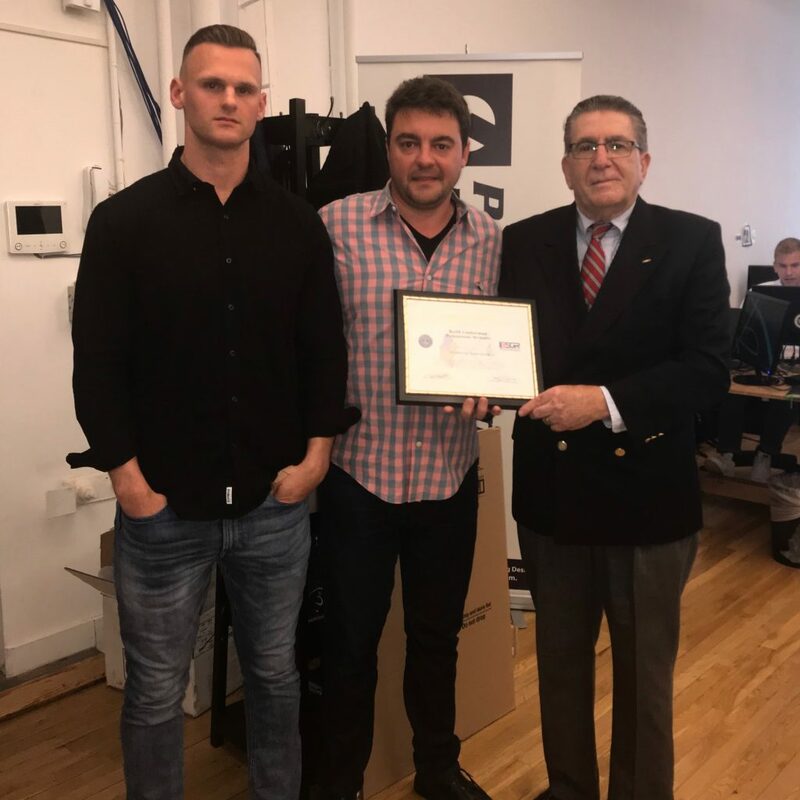 NEW YORK CITY – May 2018 – Programmatic Mechanics (ProgMechs) was awarded the Employer Support of the Guard and Reserve Patriot Award. 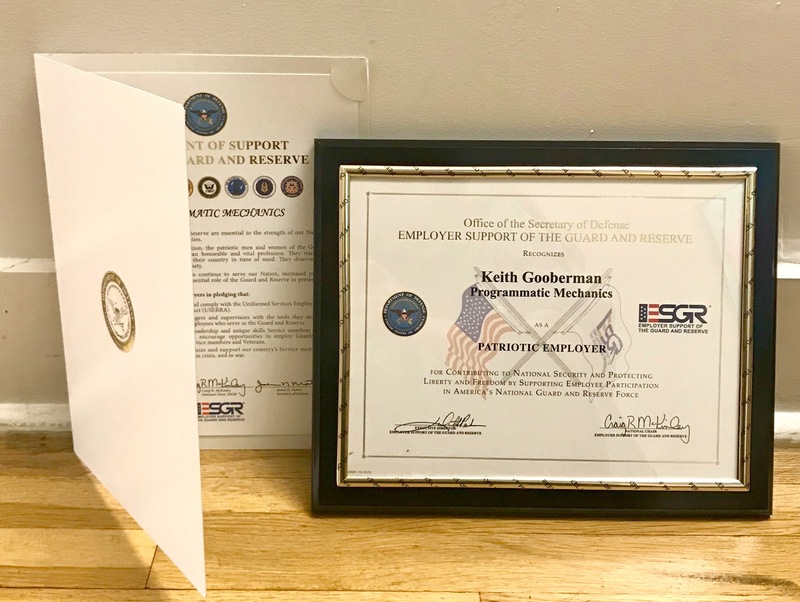 Lou DiGeronimo, NJ Director of Employer Outreach for Employer Support to the Guard and Reserve (ESGR) presented the award in a company-wide ceremony in which Keith Gooberman, the CEO and Founder of ProgMechs, accepted on behalf of the company. The Patriot Award recognizes supervisors for supporting National Guard and Reserve service members. To receive this award a current member of the National Guard or Reserve needs to nominate a supervisor. Mark Ericksen was the nominator, a highly regarded employee of ProgMechs and a member of the United States Marine Corps. “The Patriot Award was created by ESGR to publicly recognize individuals who provide outstanding patriotic support and cooperation to their employees, who like the citizen warriors before them, has answered their nation’s call to serve,” stated DiGeronimo of Programmatic Mechanics. 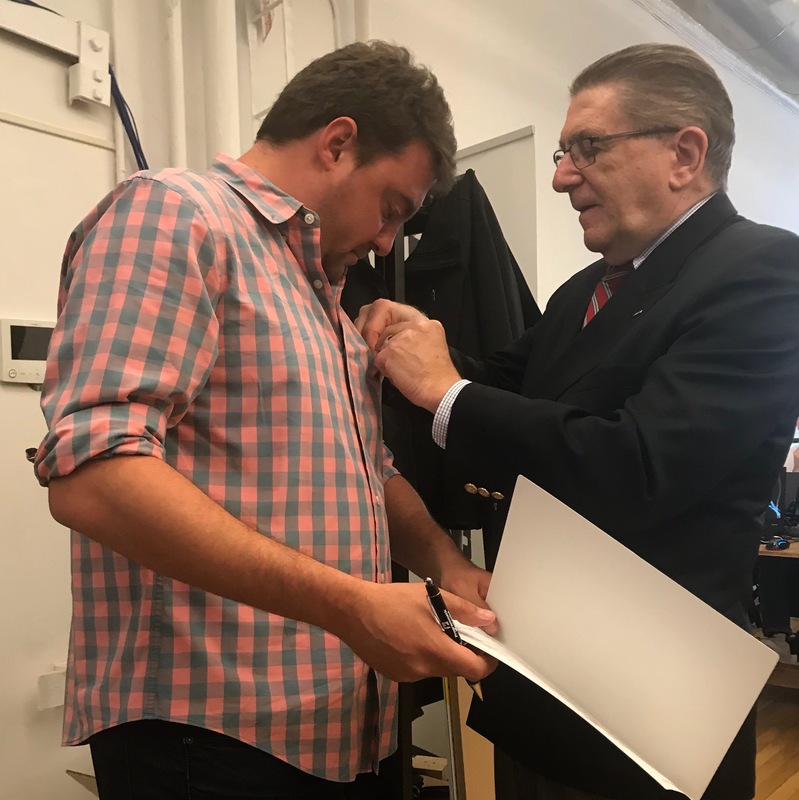 After the ceremony, Gooberman signed a Statement of Support, re-committing ProgMechs’s support of the Guard and Reserve and its obligation to the Citizen Warriors who also serve as employees. 5KGMN4 Really informative article post.Really thank you! Really Great.